Obituary for Ritchie H. Staats, Jr. | Crouch Funeral Home, P.A. 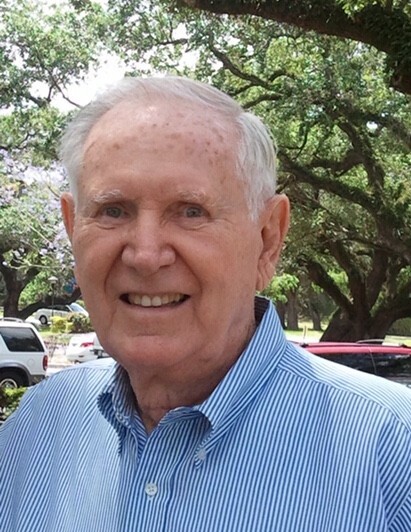 Ritchie H. Staats, Jr., age 91, of Ft. Lauderdale, FL passed away peacefully on Monday, January 21, 2019. Born in Wilmington, DE, he was the son of the late Ritchie and Blanche Wilson Staats. He attended Warner and P.S. duPont Schools in Wilmington as well as Brown Vocational School. After serving in the military he attended Goldey-Beacom College. Ritchie was a seaman in the Merchant Marines and served on Liberty ships as WWII neared its end. Later he joined the U.S. Army and served in Korea. He worked briefly with the Pennsylvania Railroad and General Motors after he completed his military service. Ritchie then began a successful career with the Wilmington Fire Department where he served as Lieutenant, Captain and Assistant Chief. During Mayor Haskell’s Administration he was Director for Personnel and Planning for Wilmington Public Safety. He retired from the Department in 1970. After retirement, Ritchie worked at various racetracks including Delaware Park, Brandywine Raceway and Dover Downs. When he and his wife, Helen, relocated to Ft. Lauderdale he worked at Hialeah, Gulfstream and Calder racetracks. Ritchie was an avid baseball fan and had a passion for the game. Later in life he was a Marlins fan. He and Helen enjoyed traveling and visited Hawaii and the South Pacific, South America, Europe and China. Their countless trips to Disney World were always adventures. He treasured spending time with family and in the past there were marathon Pinochle games with the “Jersey Crew” and dominoes with Russ and Kathy. Ritchie is survived by his beloved wife ~ “Gert”/”Sweetness” and together they “paddled in the same boat” for 70 years. His remaining family includes two daughters, Carol and her husband Randy of Earleville, MD, Janet and her husband, Bill of Dover, NH; brother, Russell Staats and his wife, Kathy of Milford, DE; brother-in-law, Raymond Bakomenko of New Castle, DE; dear grandchildren, Aleks Casper and her husband, Dan Carwile, Mary Casper and her husband, Greg Povenski, Staats Smith; great grandchildren, Ella Paige, Colton Carwile and Jeremiah Povenski; and dear nieces and nephews. The family would like to thank the doctors, nurses and staff at both Union Hospital in Elkton and Oxford Health Center at Ware Presbyterian Village for their compassionate care and support for Ritchie during his illness. Mass celebrating Ritchie’s life will be held at 10:30 am on Thursday, January 24, 2019 at Immaculate Conception Roman Catholic Church located at 454 Bow Street, Elkton, MD, where family and friends may call one hour prior. Burial will be private. In lieu of flowers, memorial contributions may be made payable to Immaculate Conception Parish Outreach, in care of Crouch Funeral Home, 127 South Main Street, North East, MD 21901.